Week 1: Are You Ready For ds106 Bootcamp? The first two weeks of the Spring 2013 course at the University of Mary Washington is basic training for what you will need to survive thrive in the rest of this course. In fact, you will not be able to proceed beyond week 2 without achieving the basic proficiencies of owning your own web site, publishing to it via WordPress, and an appreciation for the creative work ahead of us. Are you ready? Let’s line up! Actually, I would make a lousy drill sergeant. Before we jump into training, we would like you to start thinking what this course is about. It is about an explosion of creative expression– from you. When you watch these videos, pay attention to ideas, concepts, that jump out with you — things you agree with, disgaree with, find insightful. Stop the video when one of these happen. Jot yourself a note. My colleague at Virginia Tech Gardner Campbell calls these “nuggets”. You will be asked to share and expand on these as part of your weekly summaries (see below). I am not looking for a book report, just the sparks that got you thinking. Don;t try to blow through these all at once. Spread them out. I am not checking to that you watched them all, I am looking to see what you can pull out of them. In this first short clip, listen to what art critic Robert Hughes has to say about why Art is important- and keep in mind this entire course is about creating art. Go beyond the fact that he sounds like an arti critic. Listen to what he says. Next, consider both style and message about creativity of this RSA Animate video created from a talk by author Stephen Johnson on Where Ideas Come From. Next, listen to this TEDxPhoenix talk by designer Kelli Anderson– what is “Disruptive Wonder”? What do you get out of the designs that she shows? 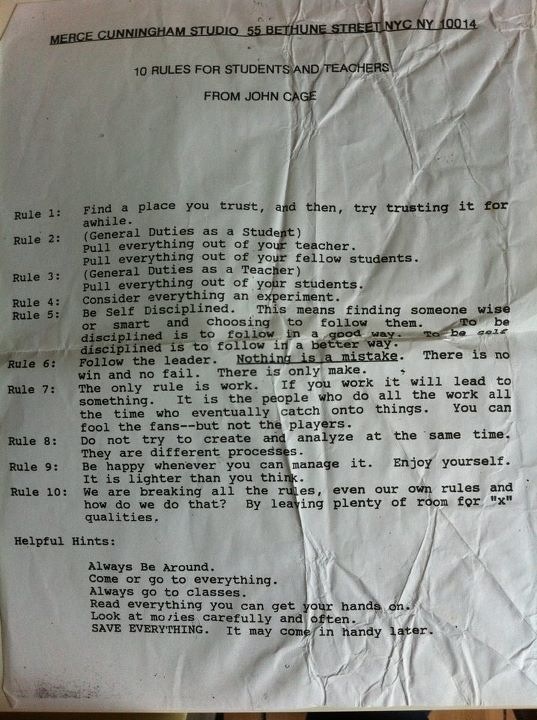 Finally, take a look at this “Rules for Students and Teachers” by John Cage. They outline a general philosophy about creating, teaching, and learning, that we feel is at the core of this class. How does it resonate with your own perception of yourself as a creator and student? Each Tuesday tentatively at 4:30pm EST I will be hosting a live show about this week’s ds106 activity. This will take place in a Google+ Hangout. The link for this will be broadcast shortly before this time in twitter; you can always find my latest hangout via http://bit.ly/cogdogplus. You are not required to attend all of these sessions live. but later in the course, your participation credit will include appearing on 2 of these shows. They will be archived, and found via a link under the main class menu on the ds106 web site. This sessions will provide helpful details that go beyond what is in these weekly assignment announcements. Later in the week, tentatively Thursday nights, I will host another drop in session, where I will be demoing assignment work and available for answering questions. It is less an office hour and more of a drop in lab. Your goal this week is to get your own web site set up, install WordPress, and begin your path of self-publishing there. Think of it as building your house- this week we are going to pour the foundation and put of the framing and the roof. The house will take shape. Next week, we will start decorating and making it customized to your preference. Each of your new blogs will look the same, kind of like one of those housing developments where there is only one basic model. Don;t worry, here yours will start diverging very quickly. Now remember that this blog is yours. It is more than a place to dump your assignments. When you write there, I am looking to see that you are trying new ideas, thinking things out loud, making connections. It is not about writing an essay or using big words to impress the teacher (he probably does not know too many big words anyhow). Over time, you will find your own writing voice. It may help to look at the blogs created by last semester’s UMW students (links are on the right hand side of that page). Review the class syllabus and make sure you understand the operation of this online class and how grading will work. If you have ANY questions about the syllabus, ask them now!! Make sure you can access our course area on the UMW Canvas site. The primary use of Canvas is a place where you will turn on your weekly assignments- nearly always, this is simply the web address of the place in your own site where you have summarized your work for the week. ASAP (like on Monday) signup up for your domain name and Web hosting space on UMW Domains. UMW students received instructions for how to this in an email from their instructors. Before we go farther, let’s plan our structure. You have an entire web domain, e.g. tastycheesesnacks.me. With the capability of UMW Domains, you can install many web sites here, not just one. We will create one WordPress site for ds106. You may have uses to create sites for other classes, or just your own interests. You will most likely want your primary web address, say, http://tastycheesesnacks.me to be the front entrance to your house, a place that welcomes, and leads you to the other parts of your house. For now, we will leave this part alone. Next week, we wil go over some ways to build this landing place. For now, Yur own URL like this will go to the default UMW Domains site with a photo of an old bus. Just leave that bus parked this week. Only when your blog is available on the web (it can take 24 hours for it to become active) register your new blog on the DS106 site. Be sure to click the button for our class section. You MUST do this in order for everyone to see the posts you’ll be writing for the class – everyone’s blog in this section will show up on our class blog page. If you do not have them already, create accounts and fill out profiles for yourself (use the same icon as you sent to gravatar) the following sites. Make sure you can find the url for your profile. To make sure you get these set up, you will have to enter the URLs for your profiles into Canvas bu midnight Thursday, January 17, 2013. 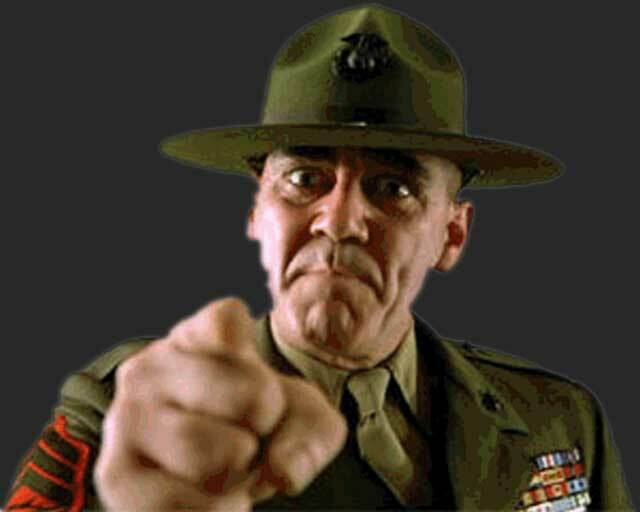 Find your drill sergeant instructor on twitter as @cogdog and click the button to FOLLOW him. Send a message of greetings to your instructor by starting it with “@cogdog”. Also include the “#ds106” hashtag in your tweets- this is how other people can know what is going on in ds106 . Learn how to search on the #ds106 hashtag to see what others are saying. One of the reasons we use these social media sites is that your web hosting accounts do not have a large amount of file storage, and we do not want you to use it up with large image, sound, and video files. These sites provide both a place to store media as well as an ability to “embed” them directly in your blog (learn more about embedding media). You might want to bookmark this other set of WordPress videos available from the UMW Technology site. (NOTE: These resources are only available by using your UMW network login). As described in this video, start by creating the following categories for your blog. By creating and using categories as your write, by the end of the semester, your blog is going to be like a well-organized footlocker. You should end up with a category structure like this example. The regular activity of blogging is writing Posts, which are date stamped so that your site typically displays the newest content first. WordPress provides a similar content type know as Pages which are not part of this time flow but are available typically from top level buttons on your site. Try your hand at editing this page with some more information about you as a welcome. You do not have to disclose anything that will identify you online, e.g. your full name or address/location, but try seeing what you can put there as a small biography. Be creative with this and have fun with it! During this first week, we all want to get acquainted with each other. We also want to start using The Daily Create (TDC) Web site (see your syllabus for more information about Daily Create!) To that end, you must complete at least one Daily Create this week, and it must be the one assigned this Tuesday (January 15). This will be a video recorded to and/or uploaded to YouTube as an introduction to each other. Note that the easiest way to do this is to record directly to YouTube with a web cam. If you do not have access to a computer with a web cam, your other options are to record it with a smartphone, a digital camera, or to find out where on campus you can use a computer to do this. Generally, we will not require you to create a blog post for every TDC you do. Instead, you may include them in your weekly summary. However, this week, you are required to create an introductory blog post (tell us about yourself!) that embeds the video you created for Tuesday’s Daily Create. See the ds106 Handbook section for how to embed a YouTube video into your blog post (it is so easy). Note for this week only, you have an early assignment- turn in the URLs for your Social Media Profile accounts and your web domain, into Canvas by midnight Thursday, January 17, 2013. 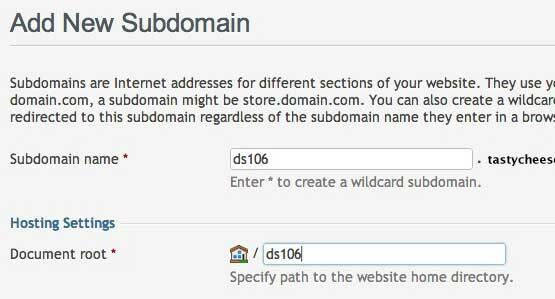 All of the following requires that you have set up your domain, created a ds106 subdomain, and installed WordPress there. This will be your first weekly summary, and we will use it to assess your progress in Bootcamp! As always, the summary is due by midnight on the Sunday at the end of the week (January 20, 2013). You will write this up as a blog post and publish it. Make sure you review it, then copy its web address, and use that URL to enter in Canvas for this week’s assignment. Make sure what you write is readable. Use paragraphs and formatting! You are also expected, where appropriate to embed media into your blog posts- do not provide links or plain text URLs to flickr, YouTube, the goal is to make your media part of your writing. WordPress makes this easy to do! Be sure to learn about embedding media on your blog posts. Reflection upon the media we asked you to review this week. Describe at least 3 “nuggets” or ideas you got from them. Do not just parrot them, explain why you chose them, what it means to you. Embeds of the Daily Create video you made. What do you think of Daily Create and the process of doing it? Did you look at other people’s videos? 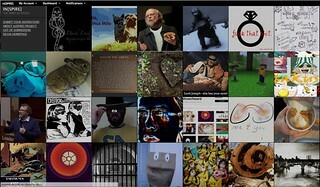 Links to your accounts on Twitter, Flickr, YouTube & SoundCloud. Link to your new About page. Reflection upon your first week of DS106. What was hard? What did you learn? What are you excited about in this class? What are you dreading? What questions do you have? We are looking for a substantive, reflective post for these weekly summaries, not just a list of links and a line or two saying, “This week was fun! Can’t wait for next week!” A reflection post should be a few paragraphs long, and include hyperlinks and media. 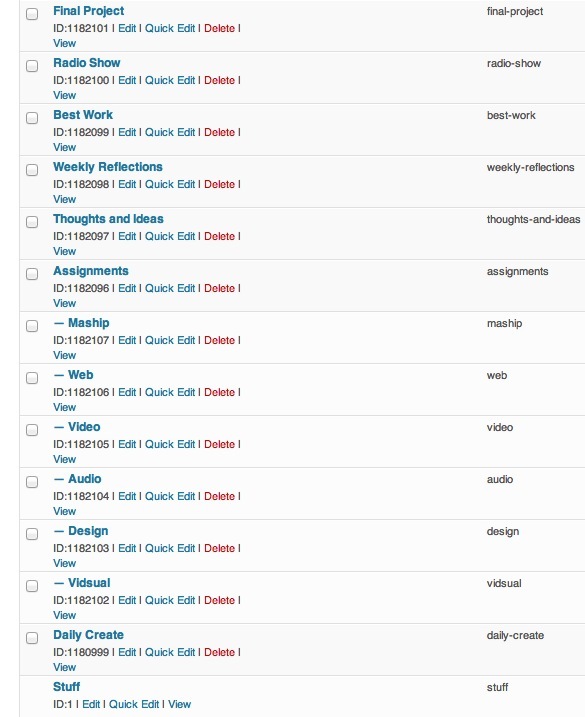 When you are done and ready to publish, make sure you use the category “Weekly Summary” and submit the URL to Canvas. Your weekly summary post is absolutely mandatory and must be submitted by midnight on Sunday.